No cooties from these Love Bugs. Create a spectacular Personalized Valentine's Day Gift for Grandma, Mommy, Auntie or Granny that will fill their hearts with joy & love whenever they enjoy a warm mug of freshly brewed coffee. 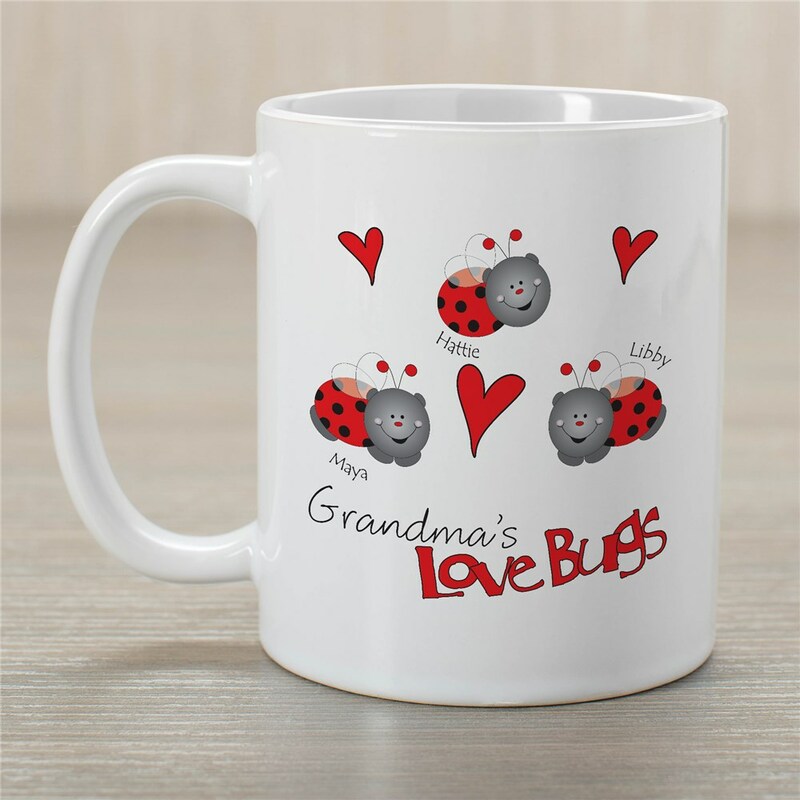 Your Personalized Lady Bugs Coffee Mug holds 11 fluid ounces and is dishwasher and microwave safe. Includes FREE Personalization! Personalized with any title & up to 30 names. This is a great mug to give as a personal Valentine's Day gift, Sweetest Day gift, Birthday gift, Mother's Day Gift or any special occasion. Our Personalized Coffee mugs can be personalized with any title making it an extra special Personalized Gift. GiftsForYouNow.com has many additional Personalized Valentine's Day Gifts for your special gift giving needs.